Our UPS man, Bobby, is retiring today. He has worked our route for the past 25 years (longer than we've been here). The people at my little company have been planning a retirement party for Bobby all day (in some cases, all week). 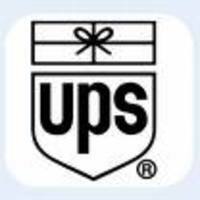 Our designer made a beautiful card using the old UPS logo, we purchased a Neighborhoodie for him shouting out East 7th Street, and got him a gift certificate for a hot stone massage at Great Jones Spa (heaven). We love Bobby, some of us more than others. (I think it's fair to say that there are at least 2 employees here who would gladly give him a hot stone massage anytime he wants one.) Everyone in the company gathered around Bobby, cheered him, and hung out with him and had a few beers. Other companies I've worked at in the past may have wished a UPS guy well, but here, at the risk of sounding corny, he's one of the family.